Taking a driving test is, for the most of us, a pretty daunting task – and one we would like to avoid taking time and time again. The whole situation can become so stressful that you might fumble and mess up with even some of the most basic manoeuvres. 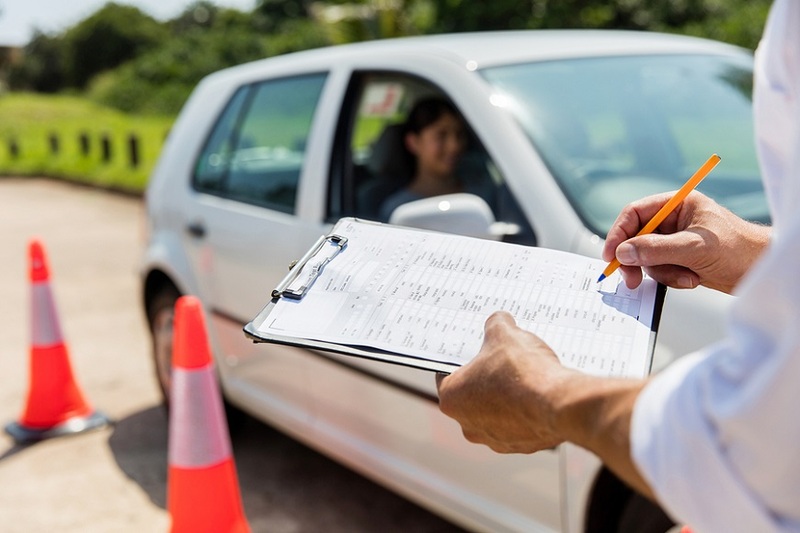 Most likely you have been inundated with advice from family and friends on how to take the exam confidently, but if you want to succeed on your first try, avoid these common mistakes during your driving test. This is the most common mistake all first-timers make. Everyone gets confused as they think they have less time on their hands to impress their examiner and they start to rush through the task. A simple way to avoid this is by keeping yourself calm and taking your own time. This will show the examiner that you are not hurrying through while attempting to park. Make sure you are leaving a suitable gap between the cars parked at the back as well as those in front of you. Also, keep in mind that when you are parking in a hilly area, make sure that you are using the emergency brake. Your examiner is likely to test how well you can handle pressure when you are behind the wheel. Going hard on the pedal won’t help you pass that exam as it will hint at nerves or uncertainty which the examiner might spot. Learn to gradually accelerate your car from a stop while maintaining a constant speed, know when to speed up and stop the car gently when coming to a halt or stopping before the red lights. If you want to be a good driver, one skill you need to master is to handle curves. Basically, all you have to do is, slow down as you approach a curve, and when needed, accelerate slightly on the curve to avoid curving your car carelessly. The examiner will not be impressed with your driving skills if they notice that your car starts giving jerks at a curve or if you accelerate excessively at curves. Ensure that you don’t cross the centre line; also remember to keep your car’s pace smooth and steady. Most first-timers make the mistake of changing lanes while going through an intersection. This is a very unsafe practice. If you want to change lanes, always check your mirrors. If you don’t spot anything in your mirrors, take a quick sideways glimpse and make sure that your actions aren’t forcing other drivers/motorists to change their speed or alter their course. If you foresee no trouble, give the accurate direction signal and switch lanes. Your examiner will be monitoring you all the while and will look to determine if you can pull this off with a reasonable level of confidence. Well, this is the most important thing taught by any first driving teacher. You need to maintain a safe distance between your car and the car in front of you. If you feel that the gap between you and the car in front of you is diminishing, reduce your speed and maintain the minimum safe distance. Showing presence of mind in front of your examiner will make them appreciate your judgement. If you are giving the driving test during bad weather, be smart and keep extra distance to be on the safer side. One of the basic skills you need to learn while driving is the use of signals. The sooner you start learning them, the faster it becomes a habit. Whenever you are in doubt, use your signals. If you forget to give signals, you end up putting your examiner’s and your own life at risk. It is better to overuse signals than to not use them at all. Not using signals will definitely reduce your points, so don’t hesitate to use correct signals at appropriate times. If your car isn’t prepared, it means you are not prepared. Taking a non-maintained car to your driving test is almost like taking a flying arrow in the arse. If your car hisses and fusses make sure you show it to a good mechanic or at a service centre who can fix it for you. Take some time out from your busy schedule, and clean it well inside out. If you don’t have enough time, drive your car through a car wash. And while you are making her glow and shine, remember to protect that paint by using a quality paint protection film. We hope the above shared tips help you avoid the common mistakes and pass that long-awaited driving test. Good luck!